"I could see on their faces that they had no idea what was about to happen." 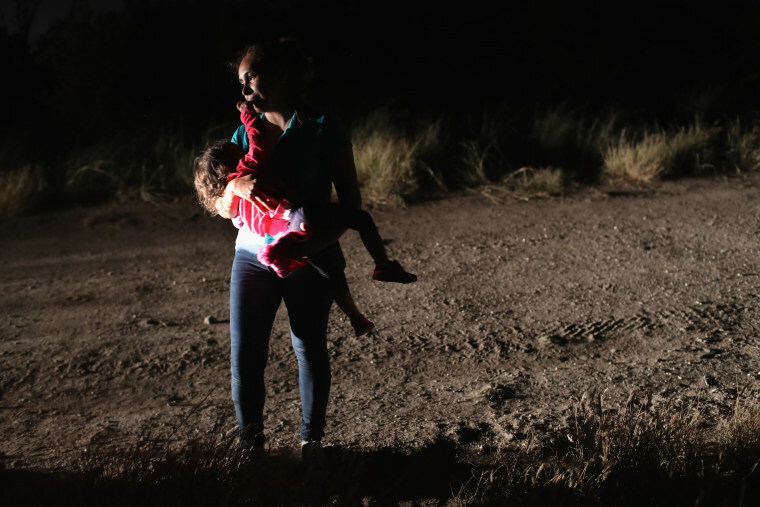 Among the powerful images to emerge out of the current border crisis, one has stood out: a crying 2-year-old Honduran girl watching as her mother is searched at the border. 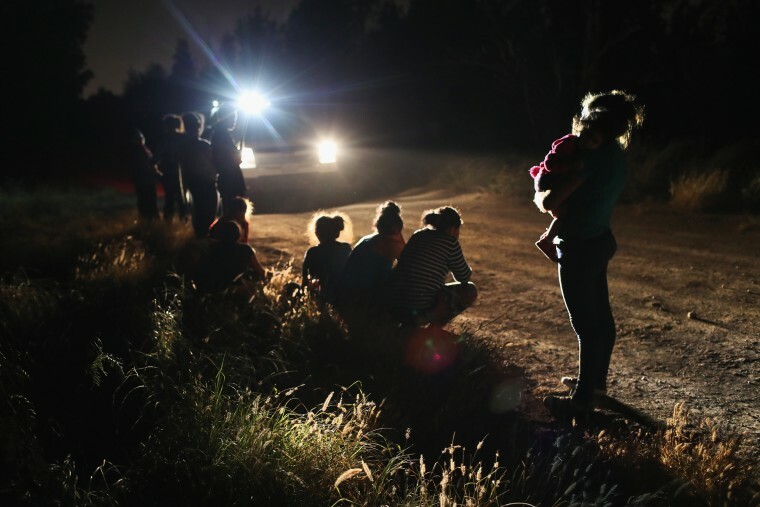 Captured by Pulitzer-winning photographer John Moore as he joined the Border Patrol for a ride-along, it has become a wrenching symbol of the pain experienced by migrant children separated from their parents. Moore followed the patrol on June 12 as they searched for migrants hoping to cross into the United States in Texas' Rio Grande Valley. Scroll through to see more images from the day. Here, Central American asylum-seekers wait as U.S. Border Patrol agents take them into custody near McAllen, Texas. 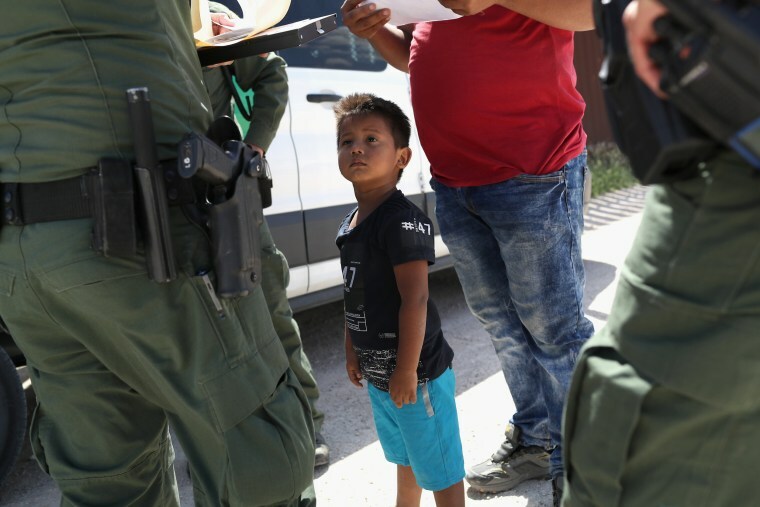 A boy and his father from Honduras are taken into custody near Mission, Texas. 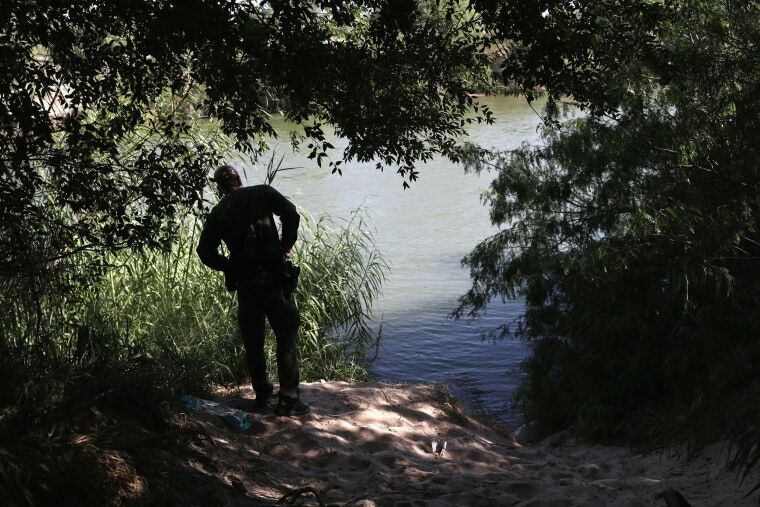 A Border Patrol agent looks for groups of asylum-seekers crossing the Rio Grande near McAllen, Texas. 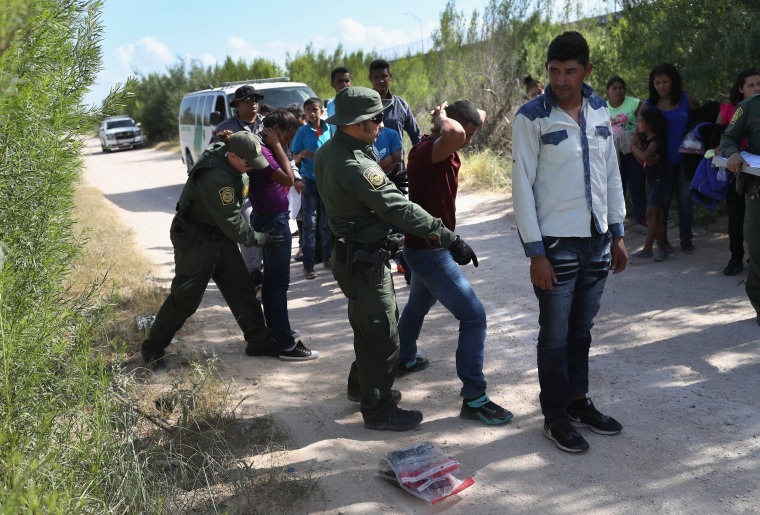 Agents take a group of Central American asylum-seekers into custody. 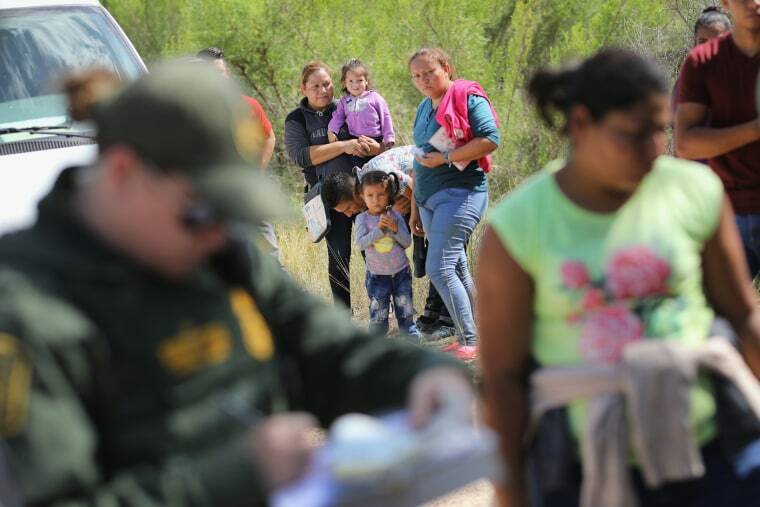 After families were detained, they were sent to a U.S. Customs and Border Protection processing center for possible separation. 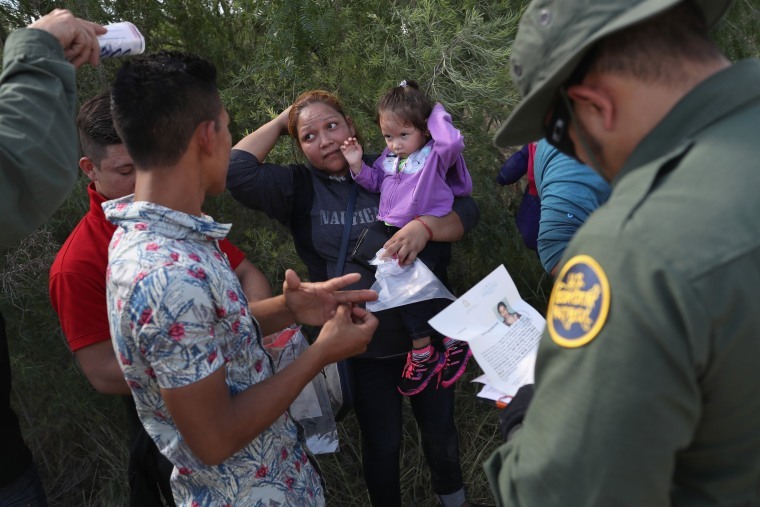 Agents ask a group of Central American asylum-seekers to remove hair bands and wedding rings before taking them into custody. The Trump administration’s zero-tolerance immigration policy has separated thousands of children from their parents. 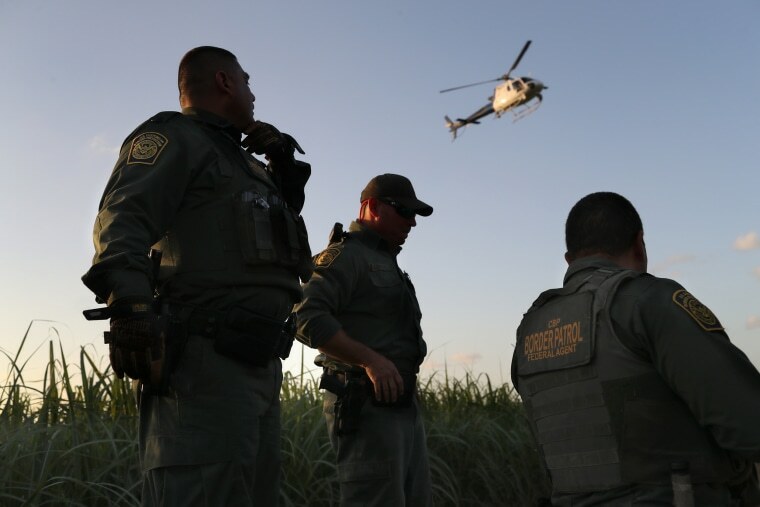 Agents watch over a group of migrants after chasing them through a sugarcane field. 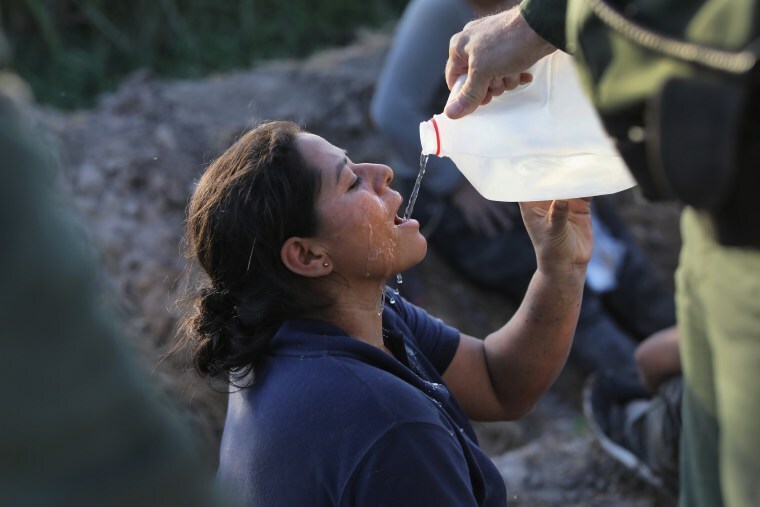 A migrant is given water by agents after she was apprehended in a sugarcane field. 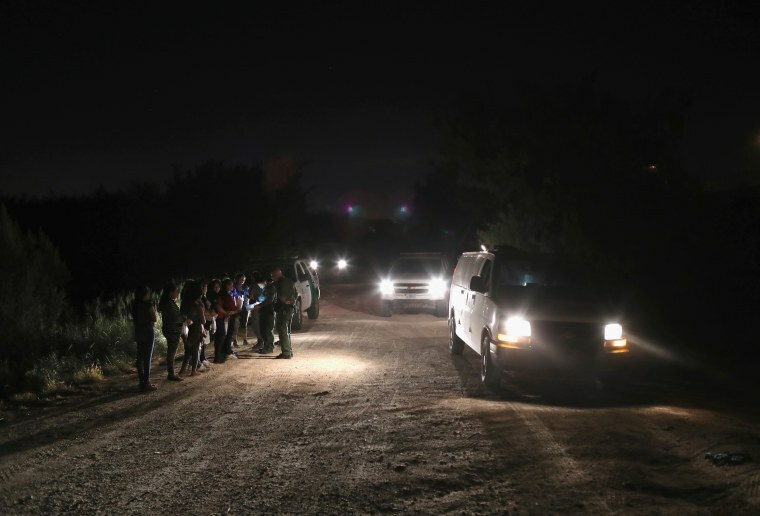 A total of 1,174 children have been taken away from their mothers and fathers in the Border Patrol’s South Texas Rio Grande Valley sector, since the policy was announced on May 7, according to Manuel Padilla, the Border Patrol sector chief. 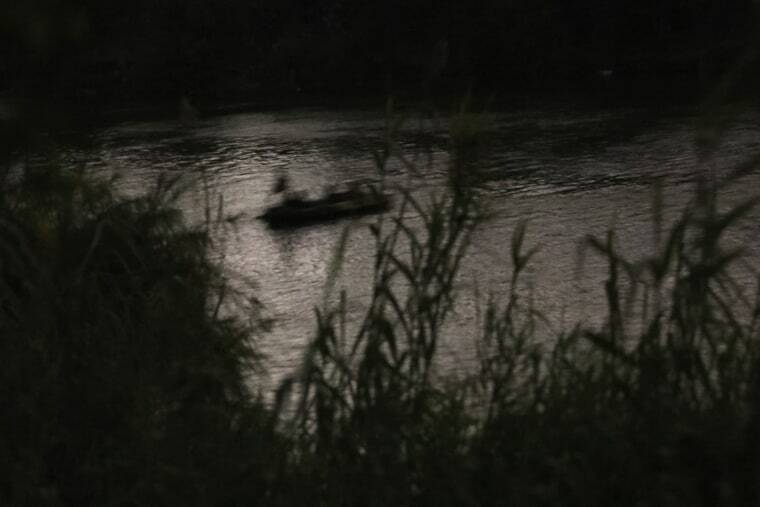 Under a moonless sky, a group of Central American asylum-seekers is rafted across the Rio Grande from Mexico into McAllen, Texas. They were detained by U.S. Border Patrol agents. 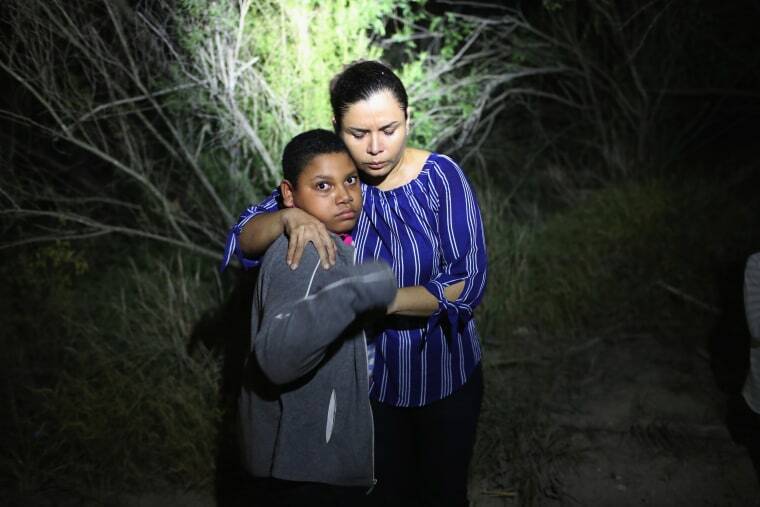 A spotlight shines on a terrified mother and son from Honduras as they are found in the dark near the border in McAllen, Texas. The migrants had become lost in the woods after rafting across the Rio Grande. 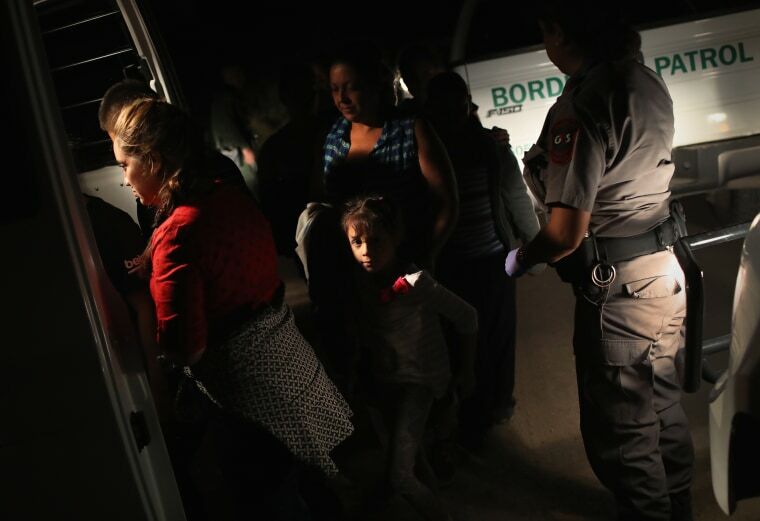 Agents arrive to detain a group of women and children who had rafted across the Rio Grande. 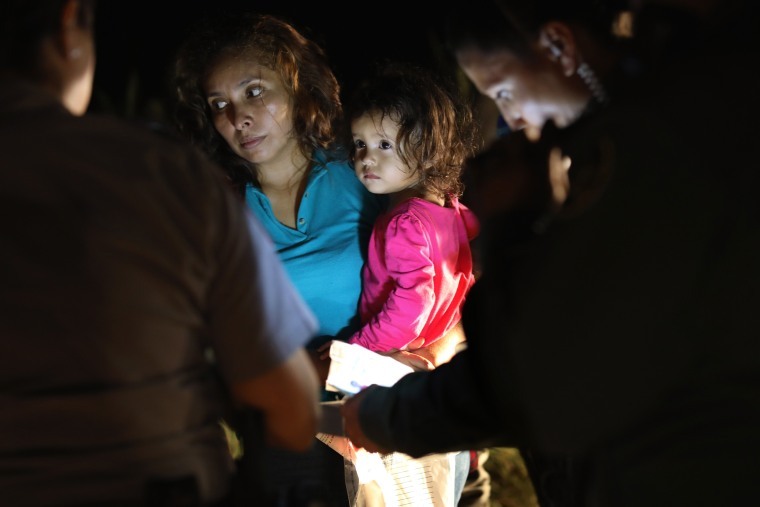 A Honduran mother breastfeeds her 2-year-old daughter while being detained. 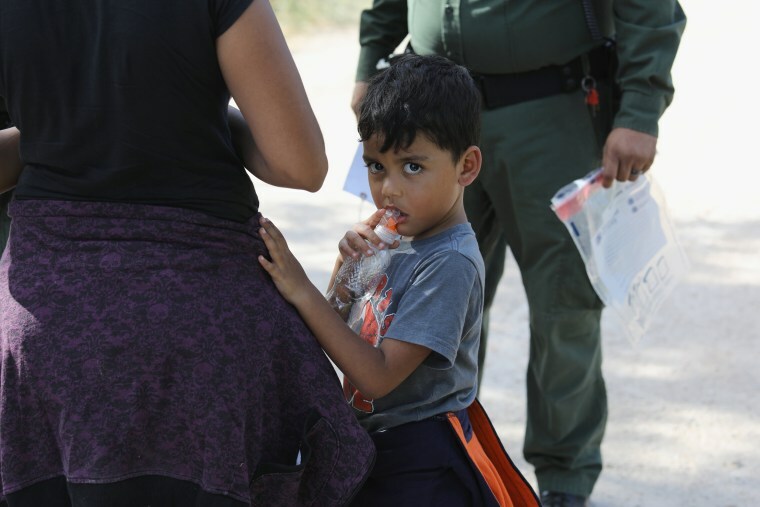 The mother said they had traveled for a month to reach the United States. 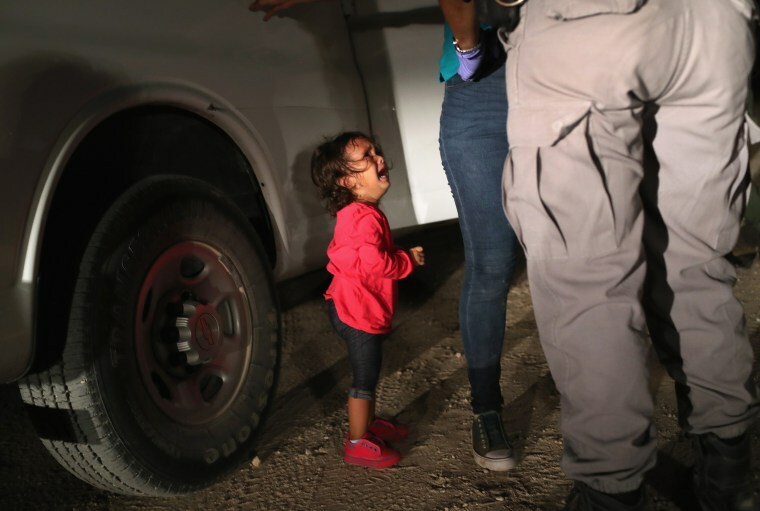 "As a father myself, it was very difficult for me to see these families detained, knowing that they would soon be split up," Moore told Getty’s online site, Foto. "I could see on their faces that they had no idea what was about to happen." 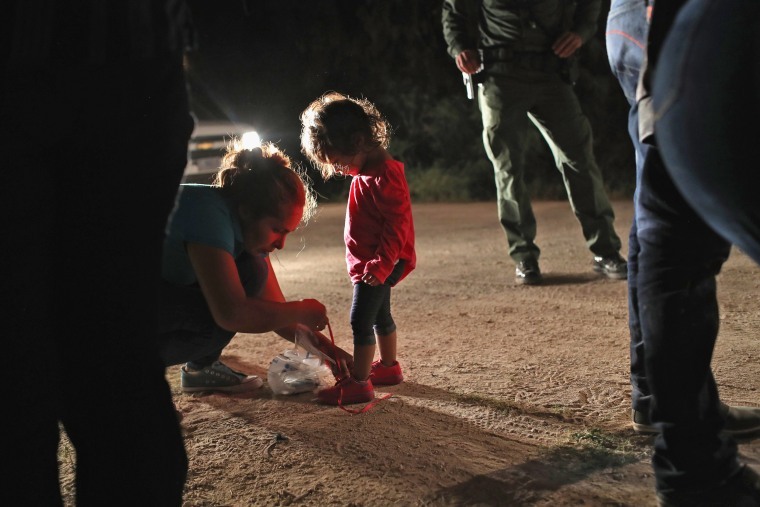 A mother removes her daughter's shoelaces, as required by Border Patrol agents. 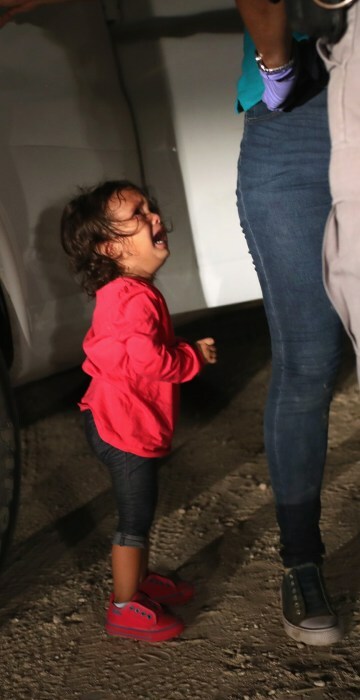 The girl cries as her mother is searched. 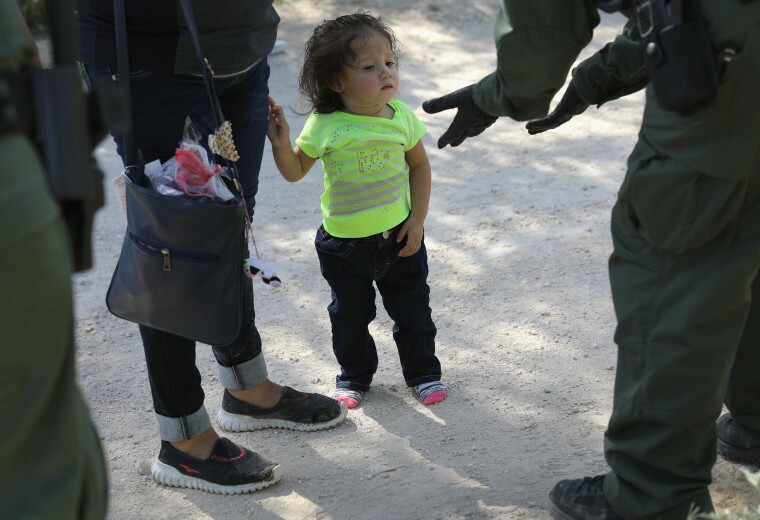 She was told to set the child down while she was searched, Moore told Foto. "The little girl immediately started crying. ... I took only a few photographs and was almost overcome with emotion myself. 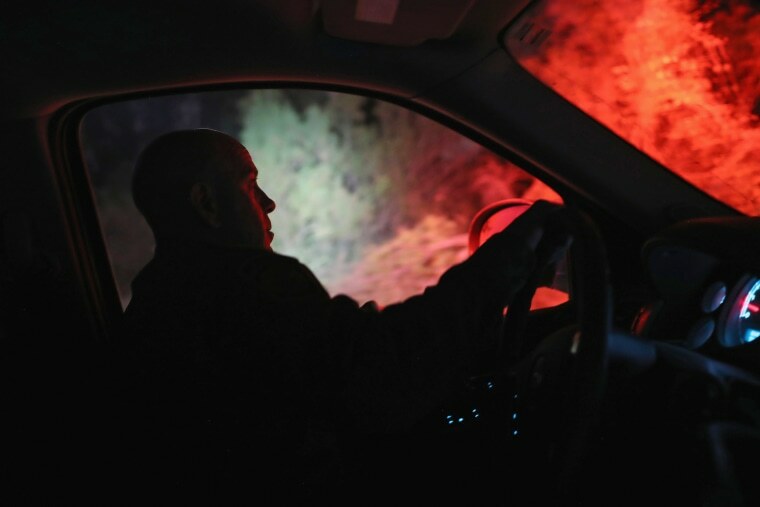 Then very quickly, they were in the van, and I stopped to take a few deep breaths." 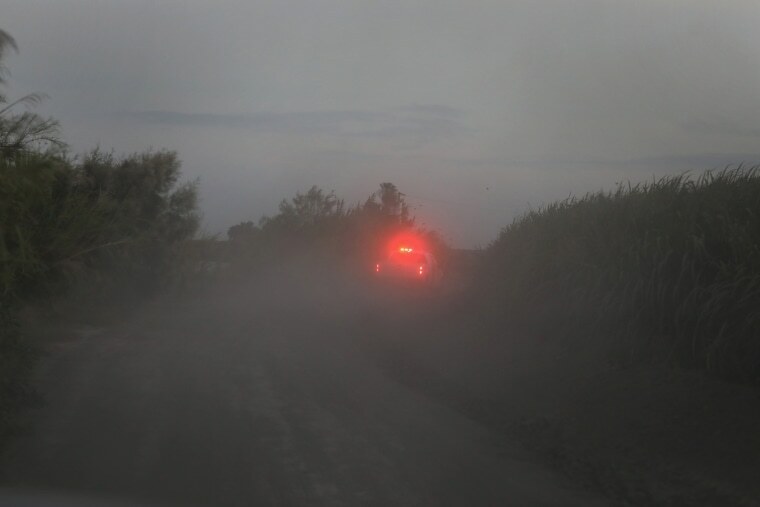 An agent shines a spotlight near the border while looking for migrants. Moore said most of the migrants he photographed during the ride-along were asylum-seekers from Central America, fleeing their home country because of violence. Parents who are separated from their children aren’t taken away until they are brought into processing to leave the facility — only at that moment do they find out if they’ll be prosecuted, instead of taken to an ICE detention center with their children.